Mayor Rahm Emanuel responded Monday to the Chicago's CBOE Holding, Inc.'s $3.2 billion acquisition of Bats Global Markets, Inc., lauding the sale as another step in the right direction for the city's economy. 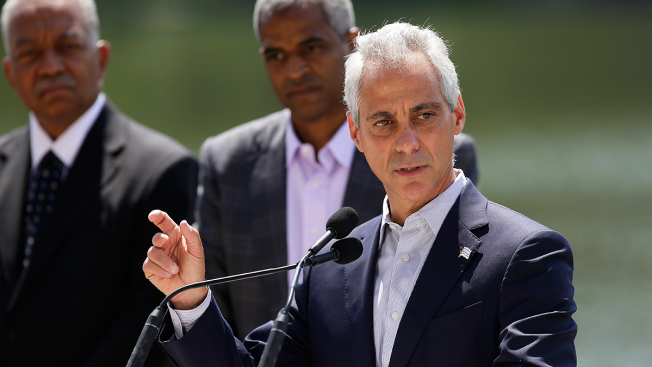 Mayor Rahm Emanuel responded Monday to the $3.2 billion sale of Bats Global Markets, Inc. to Chicago's CBOE Holdings, Inc., which owns the Chicago Board Options Exchange. The mayor lauded the deal as another step in the right direction for the city's economy. "Today's announcement that CBOE Holdings will be acquiring Bats Global Markers is another sign of the growing strength of Chicago's economy," Emanuel said in a statement. "Already the largest U.S. options exchange, this move will help CBOE continue to grow its business and serve customers around the world from right here in Chicago." "Chicago offers the talent and access to markets companies from every sector need to thrive. I look forward to watching CBOE continue to grow in Chicago," Emanuel added. The multi-billion dollar deal, which consists of 31 percent cash and 69 percent CBOE Holdings stock, will significantly expand CBOE Holdings' product line, broadening its geographic reach and diversifying its business mix with significant non-transactional revenue streams. CBOE is expected to utilize Bats' leading proprietary trading technology. The company plans to move all of its combined markets onto a single platform that is considered an industry leader. "The acquisition of Bats is expected to strengthen our position as a global leader in innovative tradable products and service, and is a transformative next step in our growth strategy," CBOE Holdings' CEO Edward Tilly said in a statement. "We believe that bringing together CBOE Holdings' product innovation, indexing expertise, and options and volatility market position, with Bats' proven proprietary technology infrastructure, global ETP listing and trading venues, global foreign exchange marketplace and market driven services, represents a compelling combination that should deliver significant benefits for our customers and enhanced long-term value for our stockholders." The transaction is expected to close in the first half of 2017. According to a release, CBOE expects to incorporate the functionality offered by both technology platforms following the closing, migrating onto the Bats' system. By using the Bats' technology and the combined customer reach of CBOE Holdings and Bats, the company plans to broaden distribution of its expanded product line to provide more range and depth of products and services.